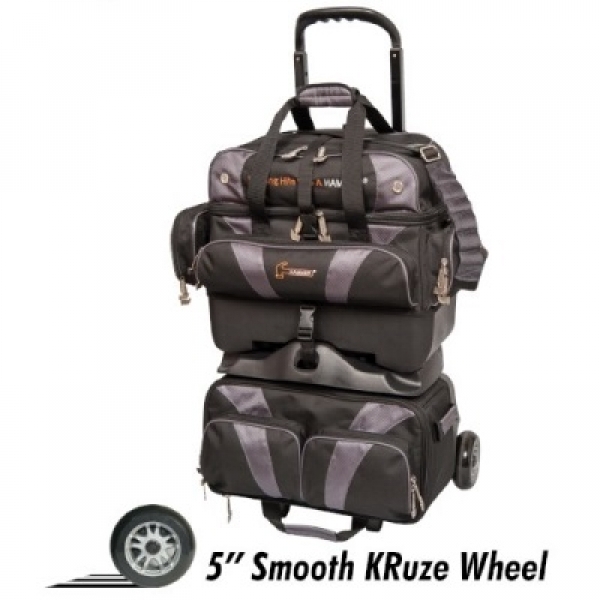 The Hammer Premium 4 Ball Roller Black/Carbon bowling bag introduces a new base, new wheels, and a new handle. 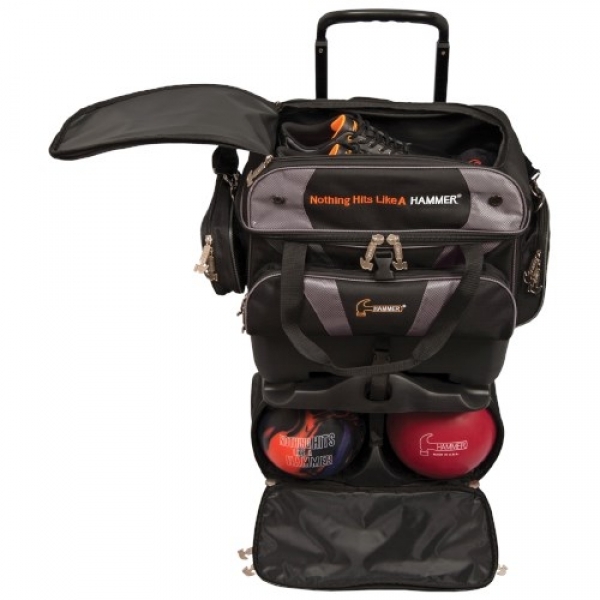 This new version of the Hammer 4 ball bag improves upon everything! 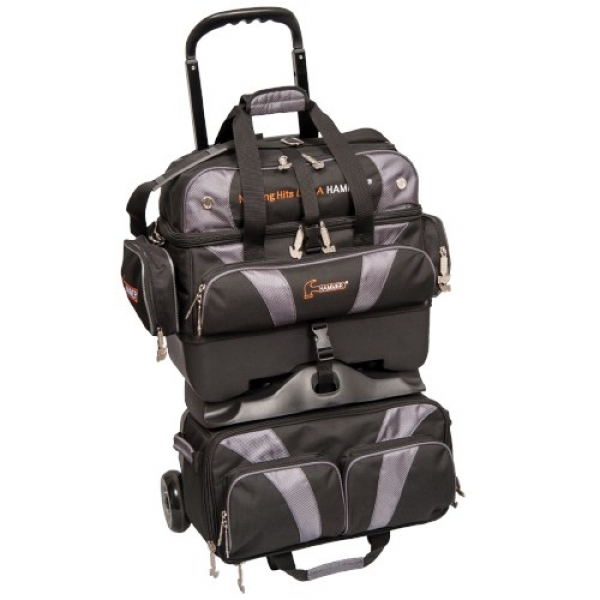 This bowling bag is of premium quality and has lots of deluxe features including a removable accessory pouch and a removable top bag that can be used as a deluxe double tote. This bag and all of its features are backed by a 5-year manufacturer's warranty.